A water-soluble vitamin best known for its use in treatment of the common cold, it is also needed for a host of processes including tissue growth and repair, strength of capillary walls, lactation and adrenal gland function. It is vital for the formation of collagen, the body’s structural substance. It promotes healing of wounds and is a powerful antioxidant. Dr. Linus Pauling and others have promoted megadoses of Vitamin C for cancer while others have used large doses to treat schizophrenia and drug addiction. But megadoses of isolated ascorbic acid may lead to imbalances and deficiencies in vitamin P. New evidence suggests that vitamin C works synergistically with vitamin E. Hypoglycemics and individuals on a high-protein diet require more vitamin C as these conditions interfere with the metabolism of ascorbic acid. It is found in many fruits and vegetables and in certain animal organs. Vitamin C is destroyed by heat. Alcohol and many common drugs including aspirin and oral contraceptives may reduce vitamin C levels in the body. A berry rich in ascorbic acid, acerola provides vitamin C with numerous cofactors, including bioflavonoids and rutin, to optimize the body’s uptake and use of ascorbic acid. Vitamin C, the most important dietary antioxidant, was popularized by Linus Pauling who recommends taking pure ascorbic acid in amounts up to 15 grams a day for a variety of ailments. But large quantities of vitamin C may be harmful to the kidneys and can lead to deficiencies in bioflavonoids. Only small quantities of natural vitamin C in the form of acerola tablets can provide the same protection as large amounts of pure ascorbic acid, without the side effects. A few months ago, I received Organic High Vitamin C Powder, along with numerous other products from a new website focused on Traditional Food that Ramiel Nagel has created. I like their products so much, I decided to become a referral partner. Since then, Traditional Foods Market has become an official sponsor of our non-profit educational initiative. Their Acerola cherry is not freeze or spray dried which changes both the color, pH and vitamin C levels. Rather theirs is processed with a proprietary gentle low heat method. Most vitamin C supplements on the market are synthetic forms of vitamin C. Only a few companies sell true vitamin C that comes from berries. Camu Camu, Amala, and Acerola cherries are some of the few food sources that naturally contain very high amounts of naturally occurring vitamin C.
¼ teaspoon of Organic High Vitamin C Powder contains as much vitamin C as four whole oranges, and without all that unnecessary fruit sugar. That equates to at least 250 mg of naturally occurring vitamin C per ¼ teaspoon. No minimum order to ship within the United States for free! We have 90 days to return the product if you aren’t satisfied! I think it is absolutely delicious and am excited to have it available to us at a discounted price. The typical mark-up for a similar product would result in it being at least 40.00 to 50.00 a bottle. Dried rose hips, sometimes recommended for vitamin C supplementation, often do not contain too much vitamin C unless freshly picked. Rami Nagel, owner of Traditional Foods Market, has offered our community an exclusive giveaway opportunity. He is offering 4 people 1 bottle of the Organic High Vitamin C Powder. Enter by answering the question below in the comments with at least 5 sentences. Please use the words vitamin c in your answer. I will randomly draw from qualified entries at 8:00P Pacific Time Sunday, February 22. Before I starting consuming the Organic High Vitamin C Powder sold by Traditional Foods Market, I was not consistently getting the recommended daily intake for vitamin C. I was surprised to learn that parsley is so high in vitamin C. I do eat raw parsley most weeks, not a cup every single day. I also don’t eat an orange a day. I drink raw milk daily but, not necessarily 4 cups which only offers 19 mg in any case. When I saw this chart the first time, which will be published in Rami’s new book Cure Gum Disease, I was quite surprised to realize that I simply wasn’t getting that much vitamin C in my diet. What foods are you currently eating the supplies you with vitamin C? Are you getting the RDI? I always agree with the sensible suggestions of WestonAPrice.org. As a nutrition coach, I would make and take these suggestions to heart. Unfortunately, not everyone would. I can think of dozens of people, even those in my family, who would rather go to the doctor (and of course, only an MD). That’s why they take vaccines and I take 3,000 units of vitamin C/day. Reblogged this on Nutrition | Health | Wellness. I love this Vitamin C product Sandrine! Thank you so much for suggesting it! I was buying another brand of organic, raw Vitamin C for quite awhile, and it was quite expensive and I’m not sure it was as effective as this one. I bought 2 bottles at the end of October and I just recently had to order more about a week or so ago. I am really sold on this! Thanks for the testimonial, Raine! As I was checking over the list of high vitamin c foods, I realized how little my family consumes! We eat lots of broccoli, cauliflower, kale, spinach but not many kiwis or oranges. In my search for a good vitamin C supplement, I came across Traditional Foods Market. I was so impressed with their high quality and affordable options. We suffered a recent bout of the flu and successfully treated and warded it off with their vitamin C. Couldn’t recommend it more highly! Thank you for this testimonial, Nicole! This vitamin C looks like what I have been searching for to add to my 10 month old daughter’s homemade raw milk formula from Nourishing Traditions. It calls for ascerola powder, but I haven’t found one without maltodextrin. Thank you for sharing, Sandrine! Wow Sandrine! Thanks for sharing about this amazing source of Vitamin C. As a chapter leader and also a nutritionist, I know how challenging it is to get all the nutrients our bodies need from sources with integrity. While I do consume high quality organic fruits and veggies, raw, cooked and fermented, I’m not getting enough from food sources. I have been supplementing with liposomal C, but now I want to try Ramiel’s. Wow, I am surprised to see that I, most likely, am not getting the RDI of Vitamin C! I feed my children very well, but ought to do better to feed myself as well. We have oranges year round thanks to our tree and the farmers market, so my kids eat at least 1 orange/day but I will usually only take a slice or two for myself. I eat broccoli and other greens like kale but not every day and definitely not a cup. I eat most items on the list, but not every day, or even every week! I’m learning more about Western Price, so I’m learning the nutritional values of foods that we didn’t eat much of in the past (dairy mostly). Thank you so much for this article! I didn’t make the connection between oral health and Vitamin C. I definitely experience many of the problems with dental health described above and I’m looking forward to learning more. Thank you again! wow! I am astonished. I didn’t know how little vitamin c my family and I are getting! That chart has opened my eyes! Regardless of winning or not I will be diligent about adding vitamin c to our diets. Reading over the list of signs & symptoms and having the majority of them apply to me has me determined to fix the problem. wow! I am astonished. I didn’t know how little vitamin c my family and I are getting! We eat lots of oranges being in Southern California but not nearly as many as we need and certainly not everyday. We do consume tomatoes, lemons, milk, potatoes, strawberries, and broccoli but all when they are in season. That chart has opened my eyes! Regardless of winning or not I will be diligent about adding vitamin c to our diets. Reading over the list of signs & symptoms and having the majority of them apply to me has me determined to fix the problem. in reviewing this list, it’s clear i’m not meeting the RDI for vitamin C. Mostly I’m getting it from the vegetables listed but not consistently or in the quantity I need to. I take several grams of vitamin C daily, but it isn’t a whole foods based one every time I restock. My kids diets however, and especially the youngest would really benefit from this. I am fortunate to have a navel orange tree in my front yard. I also have 2 dwarf Meyer lemon trees in my back yard. The oranges are really just the best thing ever, but they are only ripe between December-February (at the tail end of the season right now!). So when they’re ripe, I generally eat at least one or two oranges a day, and I try to just pick them and eat them right away. The lemons are much more available: they are ripening year-round, so I can usually go out there and find a lemon when I need one. I wouldn’t say I get the RDA of vitamin C every day, but when I am getting sick I also use an acerola berry powder from healthforce nutritionals in my tea with honey and ACV, which does contain “non-GMO corn maltodextrin.” I would definitely love to try another option. After reading this post, I’m not sure we’re getting as much vitamin c as I initially thought. We eat lots of broccoli, raw milk and oranges but probably not as much as we should to reach the RDI. Acerola cherry powder would definitely help our family, especially through the cold and flu season! I know I do not get enough Vitamin C and I am grateful to Rami for offering this wonderful and necessary item. My family suffers with colds, and flu occasionally and having enough Vitamin C would alleviate this problem to some degree. The vegetables on the list help with the amount of Vitamin C that is important for our diet and I will be making a concerted effort to include them. I am a mother of one year old and the child has been diagnosed with PWS . He seems to have low immune system and gets cold and cough easily . Then someone told me about deficiency of vitamin C that how important is vitamin C for a good immune system . Came to know from wapf about the importance of acerola berries and the amount of vitamin C it has, especially if it is organic . I would be happy to receive one. We eat organic lemons, in water, tea, salad dressing, in smoothies, humus, and on seafood. Also regularly eat organic oranges, tangerines and grapefruit. We eat kiwis, red and orange bell peppers, raw & cooked, broccoli, and greens in salads and blended smoothies. I use dried Rosehips in herbal teas, I get it from Mountain Rose herbs. I’m sure I don’t get enough Vitamin C in my diet. I drink raw milk and eat a diverse whole food diet, but I sadly don’t focus on “high” vitamin C foods. I do think it is important and would like to add more vitamin C into my diet with a whole food supplements. I have used vitamin C supplements in the past but am looking for something minimally processed. After reading this article, I can see that my vitamin c intake could be better. I do eat some of the foods on the list, however, not in the quantities that would be needed to meet the RDI. For instance, I often have ginger tea with lemon first hing in the morning, but that obviously not a whole lemon. Also, many of the foods I eat are cooked, such as broccoli and kale, which destroys some of the Vitamin c. I would love to give the vitamin c powder a try! It’s difficult to get the RDI of Vitamin C especially in the winter months. I buy frozen strawberries for smoothies. I also add kiwi to them. We eat peppers and oranges. These are the foods we eat “regularly” but certainly not daily. I would love to incorporate this WP endorsed supplement. Broccoli, potatoes, raw fermented kraut too. Again, regularly but not daily. This is the perfect time for me to read this article! My son has had a long bout of illness and we have been in and out of the hospital. I have just began to think of ways to help boost his immune system (even though he is breastfed and we eat a wholesome diet). I feel like vitamin c supplement might be a great option to try. Like many others, I feel like vitamin c is not being focused on enough in our diet. Maybe this will finally help boost his little body! I just recently started taking Camu Camu for my Vitamin C intake. I was reading in Rami’s book about how important Vitamin C is for our health, especially gums. I’ve changed my diet to wholesome foods, increased my fat intake, added supplements, i.e. Green Pastures FCLO and Butter Oil along with Camu Camu. I will also be adding Vitamin A as soon as I research the best form of it. I guess I really hadn’t thought very much about vitamin C before. I knew there was some in oranges and peppers, but I just never really thought about it. I drink a lot of raw milk along with sauerkraut, and I take fermented cod liver oil with butter oil for vitamins A, D and K2, which has really helped my teeth. I really enjoy reading the articles you post on facebook, as well as looking at all the posters-banners? that you post with different sayings on them. I really appreciate the work you are doing here, and thoroughly plan on using the nutritional guidelines you have set forth in the future when I have a family. I don’t aim for getting the RDI of nutrients, since I have zero confidence in our government’s knowledge of nutrition. Years ago I read Linus Pauling’s recommendation to maintain good health of taking 1 gram (1,000mg) of vitamin C plus 500mg of lysine daily. He later added proline to his recommendation as well. I’ve been using Carlson Labs’ Lysine/Proline and New Chapter Organics’ Food Complex Vitamin C. To get 1g vitamin C from the New Chapter, I must take 4 large (& expensive!) tablets daily. This supplementation costs about $60/month. I am also reading Ramiel Nagel’s book _Cure Tooth Decay_ right now. I hope to try this new vitamin C powder, since a powder would be easier to swallow than the huge tablets I’m now taking. I would love to try this new product. I have been searching for a safe choice of vitamin c for my family. We currently eat a lot of tomatoes, kale and other leafy greens, oranges, peppers, kiwi, lemons and kohlrabi for vitamin c. I also had no idea that parsley was so high in vitamin c. I’ve read Cure Tooth Decay and I have implemented some dietary changes. I also started taking the FCLO and butter oil. I really need to add a source of vitamin c! Thank you for this post. I get my vitamin c from oranges, lemons, greens and an organic whole foods multivitamin. I do think I get the RDI but would love to be able to add this source as well since I am struggling with gum issues! Great product, but having been to Brazil many times- I am a bit skeptical. Has anybody actually personally audited the farm(s)? Also, tried to order but says backordered. Do you know when will be available? We are older folks, in our 70’s and definitely NOT getting enuf Vitamin C. Citrus is hard for us to digest, so that leaves alot out. Allergic to strawberries and ferments are too much histamine. Ach, so much to keep track of!! Just getting over a nasty flu, too. We’ve just started to drink green smoothies and a powdered Vit C would be a great addition. Raising two young boys keeps me busy all day long and although I remember to pack them full of nutrient dense WAPF foods, I often short change myself. Vitamin C is one area I could really use a boost! I would love to try this product! I know I do not get the RDI for vitamin c daily. This could help explain some of my teeth issues, as well as metabolism issues! I have been trying lately to eat more fruits with high amounts of vitamin c, like kiwi, which I recently found a love for! But I have been going back and forth trying to find a good vitamin c supplement, that is food based, and I love the idea of the acerola supplement. I think I will go ahead and invest in some. Thanks Sandrine! I’m trying to avoid raw foods so I don’t think i’m getting the adequate amount of Vitamin C. I have hesitated to take ascorbic acid but I love the idea of taking a whole food to get my fill of Vitamin C. I would love to try this product. I know some WAPF health practitioners recommend liposomal C. I’m wondering how this whole-food product compares to that. Would love to hear any thoughts on that! My family loves eating oranges of all variety and grapefruit in the winter months. We also eat lots of Kiwi and I cook with lemon zest and juice regularly. Red peppers, broccoli and raw milk are also consumed regularly in our household. Honestly, some days we are probably reaching the RDI, but many days we are not! It would be great to have this high quality Vitamin C on hand for the times when we are lacking in fresh food variety of vit. C. Thanks for the opportunity to win. I haven’t heard of the traditional foods market until now and I’m excited to explore the site and order! It always take something away for me when an article as informed as this one is also pitching a product. I support wholeheartedly the need for Vitamin C. It would have been a better article if other options had been discussed like iposomal C.
Thank you for offering what sounds like a delicious, nutritious, pure form of Vitamin C. I currently get most of my vitamin C from citrus fruits and various green vegetables. I am not sure if I get the full RDI. I think I would really enjoy the Cherry Acerola discussed above, and hope that it benefits many people of all ages. thanks for the list of Vitamin C rich foods – I can tell I’m probably not getting enough on a regular basis. And, my husband, who drinks lots of wonderful milk is currently battleing a gum infection and really needs more!! I am excited to hear about Vitamin C. I try hard to get enough in my diet. I eat citrus, strawberries, and lots of vegetables containing vitamin C. I supplement but I am sure the supplements aren’t of great quality. I also can’t be sure that I am getting the recommended daily doses, but I will definitely try the Acerola Cherry described above. Thanks for this information!!! As a holistic dental hygienist focused on nutritional support for healing; I always recommended dietary changes to my patients for optimal dental health. I also follow the recommendations of the WAP foundation as I feel they are the best way to feed my family. Thank you for informing me on the various ways of improving my Vitamin C intake with whole foods. I did not know Acerola was so rich in Vitamin C as well as numerous cofactors. I look forward to trying the Organic Acerola Powder. Thanks again. We eat a wide-range of organics fruits and vegetables each day. But, let’s face it, growing practices and soil quality have changed so drastically, the only way to ensure we are getting all the vitamin C we need is through additional supplementation. Whole Food supplementation just makes sense. This way you aren’t creating further imbalances and you get all of the wonderful cofactors of the fruit. Just the way nature intended. Hmmm… It looks like i don’t get nearly enough Vitamin C. I recently purchased a dragonfruit and discovered it was higher In vitamin C than most citrus fruits. Still, it seems that dragon fruit isn’t enough. Getting this supplement seems to be a good answer! Wow, I never knew how much we are actually lacking in Vit C! We have such a hard time getting out son to eat many vegetables although my wife and I consistently make most of our meals from scratch. This looks like a wonderful supplement that could benefit others as well as us! Thanks so much for this valuable information. We certainly like to keep up to date and informed about smart ways to benefit our bodies. I always make it priority to get 1-2 grams of vitamin c (non-GMO) per day as well as eating other high vitamin c foods. The foods I eat regularly are parsley, tomato, kiwi, orange, kale, sweet peppers, broccoli, lemons (daily as dressings and in warm water). I have also tried camu camu powder but I have discovered I cannot take too much of this without stomach upset. I believe we need much more than the RDI of vitamin c.
I have been eating sauerkraut, fresh rosehips and pineapple most days for vitamin C. I do supplement whole food vitamin C some days in pill and powder form too. I’m not completely confident I’m getting enough through foods alone due to soil depletion issues. Its an all too common misconception (deliberate deception possibly?) that ascorbic acid is vitamin C. AA is only one part of the vitamin C complex. The body requires all the parts inside the ascorbic acid shell. This product fits that need as whole food vitamin C complex and I can’t wait to try it once my camu camu powder is finished. This is an interesting post, as your articles usually are, Sandrine. Seeing a dentist is currently on my to-do list as I have neglected that aspect of my health in the last year or so. I eat broccoli, cauliflower, raw milk, oranges, and lemons and some raw saurkraut and other ferments on a weekly basis, but not every item daily. I am sure I am not getting my RDI of Vitamin C. I have various bottles of Vitamin C powder that I tend to load up on when I feel like I am getting a cold, but after reading this article, I would much prefer to try this brand and be more aware of my daily intake. I can’t wait to try this vitamin c! I probably get 40-50mg/ day- even with supplementation (other very good quality brand supplements don’t offer this type of vitamin c). This would be a great addition to my immune boosting cabinet. Perhaps I should keep some in my inventory at the office as people are always looking for natural ways to support immune function. Thanks for the information! I wonder if the foods listed still contain that much vitamin c with the degradation of the soil, etc.? I get my vitamin C by mixing 2-1 ratio of Vitamin C powder from Trader Joe’s with baking soda. I read that this is easily used by the body and is refreshing to take it this way. Sometimes I mix it with my homemade kefir and it makes it like a milkshake. I eat an orange or two and peppers everyday. I drink lemon water when I first wake up each morning. Fresh peppers have even more vitamin C in them than citrus fruits. I add some frozen berries to my protein shake. I also take 3,000 mg of liposomal vitamin C in supplement form. Thanks for the overview on Vitamin C. I use HealthForce Truly Natural Acerola Cherry, over $40 for 17+ ounces. (1.5 tsp for 503% RDA, 92 servings) I always balk at the price and go back to the cheap stuff. This is a good reminder that the source and processing of Vitamin C is important. And now I’ve looked more closely at how much Vitamin C I’m getting and realize Organic True is half the price. Thank you for the information on the Vitamin C powder from Traditional Foods Market! I have many of the symptoms listed of being deficient in Vitamin C….dry and scaly skin, decrease in wound healing rate, painful joints, decrease in immune system (lack of spleen) to name a few… I would certainly like to try this as I’m sure I’m not consuming enough in the fresh oranges, strawberries and broccoli I eat. :-( . This blog has certainly opened my eyes to take more Vitamin C! Thank you! I read Rami’s book and it was great. I’ve been following his recommendations and have been taking a different Vit C supplement. We costume many of the foods on the list above but especially during the winter, we do supplement as well. I’m always up for trying a new product! in answer to where I am getting my daily vitamin C: I hope from the home-made vegetable ferments that I make with red and/or white or Napa cabbage and other vegetables. I eat these ferments with each of my 3 meals a day. How about from the dried sour cherries added to my morning kefir, to which I also add high quality rose hip powder, nettle and moringa oleifera (very high in Vitamin C) powders. I can’t figure out if this gives me the RDI. To be safe, I have ordered a bottle of the acerola powder from Rami’s great-sounding company to add to the mix. It is delightful to learn that someone is finally making an acerola powder without maltodextrin. When I was making the WAPF baby formula (2 whole years! ), it was an unceasing source of irritation to me that I could not provide my daughter with adequate Vitamin C without the acerola, nor could I find a product free of the maltodextrin. In winter, my family consumes lots of broccoli, peppers, brussels sprouts, fresh oranges, potatoes, raw milk and homemade sauerkraut, and I take a daily lemon tonic containing a whole lemon. Even with all of that, unless we ate all of these foods every single day, it would very difficult for my family to maintain an adequate intake of Vitamin C through the season. It’s fragility and short life are compounded by winter’s typical dearth of options. Additionally, so many of the foods rich in Vitamin C that we can get, are also goitrogens, and are therefore contraindicated for management of my Hashimoto’s disease. As such, an addition like this to the marketplace is all the more welcome for me. Thank you for sharing! We aren’t currently taking any vitamins other than green pastures fclo. I am in the process of reevaluating our supplement needs. I attend our local wapf meetings and have great respect for the organization and it’s teachings. Vitamin C is one supplement I am considering adding to my familY’s diet. I just want to make sure we get the right kind for our bodies. I knew vitamin C was important when you have a cold but I thought you could get this through citrus fruits! Thank you so much for this blog post! I am a busy mom of 7 & homeschool them all so I don’t have a lot of time to do research. I trust Weston Price Foundation and this blog! We are about to start planting fruit trees so this cherry tree will be at the top of our list! I don’t know what RDI is & I will be looking into that right now! I am getting Vitamin C from a variety of sources at the moment: organic frozen berries, kiwi fruit, sauerkraut and citrus fruit. I would assume that I get the RDI most days. However, I know that a whole-food organic Vitamin C source would be even more effective. Wow! Thanks for this valuable information and letting us know about this amazing product. (I am ordering 2 jars!) I thought I was getting adequate amounts of Vitamin C but come to find out I’m not! Thanks to this powder, I now can. Just saw that I need two more sentences: I would like to try the whole food powder, because a smaller dose is needed to achieve the same effect as you do with synthetic Vitamin C. It would also be interesting to combine the Acerola powder with lecithin and make a liposomal Vitamin C, of sorts. We are a farm family and consume mostly whole foods. Looking at the list, I am afraid we fall into the vitamin C deficient category. We eat some of the foods regularly, but not enough for the RDA. Then there are lifestyle issues that may actually cause a need for more than that! I am exited about this quality product. We are a family of five and I know my children do not get adequate amount of vitamin C on a daily basis. I ordered last week and I am looking forward to trying it out! After reading this blog post, I realized what my son’s and my problem is. Our mouths had been feeling wonderfully healthy and strong while we were in supply of high quality navel oranges from a very clean source. Our supply got eaten (of course) and without realizing it, our mouths started exhibiting symptoms of (I didn’t know for sure at the time) vitamin C deficiency. While reading this post, I realized that we should be eating at least an orange’s worth of vitamin C every day to keep our mouths strong and healthy, but good oranges aren’t always available (in CO), so this would be a fabulous way to get that vitamin C! Thank you, Sandrine Love and Rami Nagel for this opportunity! I really appreciate getting this information on Organic High Vitamin C Powder from Traditional Foods Market! Looking over the list of vitamin C rich foods, I see that I don’t consume nearly enough of these – no big surprise! And, looking at the list of symptoms for possible vitamin C deficiency, it appears that I probably am! Although I have purchased powdered vitamin C, it is not organic, I don’t particularly favor the flavor, and I haven’t been faithful in taking it on a regular basis. The information you have presented here has reminded me of the importance of ingesting adequate amounts of vitamin C on a regular basis, I know that I will need to be more vigilant in keeping up my vitamin C consumption, and I am very interested in trying out this new Organic High Vitamin C Powder. Thanks so much for all you do to forward the cause of superior nutrition! Thank you for this comprehensive article on Vitamin C. Our family takes a berry/fruit based supplement, but not necessarily every day. I am pretty sure we don’t eat enough of the foods rich in Vitamin C. Broccoli, peppers, potatoes, raw milk and lemon juice are foods we eat regularly. We have healthy teeth, but we have all had sporadic issues with bleeding gums, so this could very well be the solution! I would love to incorporate this product into our daily regimine. I cannot wait to add this Acerola cherry powder to our diet! :) I have read about this source of Vitamin C before, but as of yet, I have not added it. I know how good it is for our bodies. I also need to implement a tall glass of green juice each morning. I love quenching the body’s needs! :) Thank you for this opportunity! We definitely have symptoms of Vitamin C deficiency. We try to eat a whole food diet, but being on GAPS and Ketogenic diet, obviously we’re not getting all the nutrients. Rami is an amazing source of knowledge and healing. For a growing teen, I can see that supplementing with Vitamin C from organic whole food supplement is worth trying. Thank you for the offer Rami and Sandrine! I was very, very sick several years ago. The docs basically sent me home. Thus began my journey back to health the natural way. It’s been a long road but I am always interested in learning new things. (And doing SO much better going natural!) My friend Jami (several comments up) shared about your vitamin C last week. I very much enjoyed reading on the site and learning about effective Vitamin C. I have taken many types of VitC but usually with it came (sorry!) more bathroom time…. (Just keeping it real y’all!) I love whole food vits and can’t wait to try yours! Thanks for the giveaway of a great source of vitamin C! Like most people here, my family eats a very clean whole foods diet, but not necessarily enough of the right foods (or fresh enough) to get our full daily allotment. It’s mainly the winter season that concerns me because we don’t have anything coming out of our gardens, and the organic produce bought at the store doesn’t necessarily have much vit. C left in it. Luckily we still have our fresh whole goats milk. I’m looking forward to trying this product when it ships! This is great information! I did not consider if I was getting enough Vitamin C from the food that I eat. I currently eat broccoli, oranges, kiwi, strawberries and tomatoes on a regular basis. However, I do not eat this all every day, and it is quite possible that I am deficient on any given day according to the RDA recommendation. I would love to try the Organic High Vitamin C Powder to make sure I am getting the proper amount of Vitamin C daily. Especially since I am currently breastfeeding my two-year old son and plan to have another pregnancy in a year or so. Thanks again for filling us in on this! I’m not sure I’m getting the RDI of vitamin C, but I do eat fruits like oranges, kiwi, mangos, strawberries (frozen from my garden in the winter) and vegetables like broccoli and cauliflower. Even though our family eats well and I make it a priority to prepare healthy meals, I know we don’t get the RDI of vitamin C. In our very northern climate (WI) it can be challenging to get fresh foods year-round. We also tend to eat seasonally, so strawberries in early summer, kale and brocolli a bit later, and oranges in winter. With several small children , I want to know they’re getting the best nutrition we can provide. I would love to try this vitamin C supplement, it seems it would be excellent to have on hand for illnesses especially. I serve my family a lot of cruciferous vegetables, steamed and fermented in order to get some natural vitamin c. We also harvest rose hips every fall. I am certain we do not get our RDI of this crucial vitamin. I would love to try a tasty product like you describe. The powders I have purchased were bitter and/or had maltodextrin added. I had never thought before about how much vitamin c I get daily until I read through your list. In all honesty, I have to admit that even though I eat many of these foods I don’t eat enough each day to meet the RDI. I eat most every vegetable on the list and many of the fruits, but not daily and not in the amounts necessary to meet the RDI and many times I eat them cooked which from what I have learned kills the Vitamin C. I do make homemade sauerkraut and we drink raw milk but again I don’t eat enough in a day. I have been thinking about trying a vitamin C supplement that Dr. Mercola offers but not because I thought I was deficient. Rather, I was just looking for something better than what Walmart offers. I am hoping that adding this Vitamin C to our diets will help us to avoid all these darn colds!! We have a farm and eat all of our own meat, milk, eggs and veggies, but the kids continue to catch every cold! I was unaware that vit C is actually hard to get. We all love oranges, broccoli, kale and add rose hips to tea, but it may not be enough? This seems like an easy supplement to add in especially for the little ones. I would love to win this Vitamin C to add to my daughter’s raw milk formula. The one I am currently using has maltodextrin in it. I dfinitely don’t think our family gets enough Vitamin C from food sources and we have taken a supplement off and on. This looks like an excellent choice! In my house, we recognize the important benefits of Vitamin C, along with a wealth of other vitamins and minerals. We make every attempt to obtain our RDI of Vitamin C and other vitamins and minerals through making smart choices with the foods we eat. For example, each morning we eat a breakfast stew that is make of bone broth and a host of Vitamin C power houses such as kale, peppers, tomatoes, potatoes, and lemons. We also eat veggies with our lunches and dinners that include Vitamin C-friendly plants such as brussels sprouts, broccoli, cauliflower, and sauerkraut, and we snack on fruits such as oranges and strawberries. I’m sure that on some days, we receive our RDI of Vitamin C through our diet, but having a supplement such as Organic High Vitamin C Powder would help us to be sure! Thanks for the opportunity! I’m a mama to a picky 1 year old, who mostly only wants breastmilk. 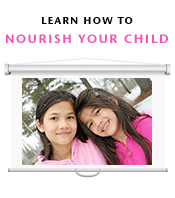 I’m always on the lookout for how to ensure she is getting her needed nutrients and vitamins. My intake of Vitamin C looks like it’s pretty sad. And although my baby girl will usually eat fruit, I don’t love the amount of sugar that comes with too much of it. This Organic High Vitamin C powder looks like a majorly beneficial addition to a healthful lifestyle. I’m excited to try this form of Vit C. I did not realize maldodextrin was in the acerola powder I was mixing in the homemade formula. We aren’t big fruit eaters but do eat a lot of greens. The chart gives me a better idea on how to incorporate more vitamin C daily. My daughter has been on the WAP diet since she was a baby now 3 with beautiful baby teeth and hope her permanent ones stay cavatie free. Thanks for the information Sandrine!! Vitamin P is not really a vitamin but a term given to bioflavonoids which are essential for proper utilization of Vit. C. It’s in whole food C but not in synthetically derived C, which is really nothing more than ascorbic acid. You need the P to use the C! I know my vitamin C intake is not where it needs to be because I am intolerant of most foods that have large doses like citrus, strawberries, tomatoes and potatoes. Plus I have to be dairy free for my nursing 6 month old. And I have dental issues!!! I do take a raw prenatal, eat sauerkraut and drink lemon water keifr daily. It helps. But I’m sure I could use more. Of the foods listed, I maybe eat half on a semi-regular basis. I’m probably not getting enough! I would love the opportunity to try this brand of Vitamin C, especially after having you recommend it Sandrine! I am interested in the effects it may have on my adrenal fatigue. I’m hoping to convince my husband to supplement with Vitamin C as well as he has some dental issues that he had been dealing with for awhile. Thank you for the giveaway! I don’t get nearly enough vitamin C intake daily because I try to avoid foods higher in sugar such as fruit. I usually only get vitamin c from pastured eggs and grass fed dairy products. I am looking forward to try this product for sure. It seems like it is going to be a daily thing for me like Green Pasture FCLO/HVBO!!! Hi Justin, there is no vitamin C in pastured eggs. Thanks for the Vitamin C recommendation! I typically switch up different whole food Vitamin C powders to help with my adrenal fatigue. Plus, my family has been following Rami’s protocol for healing some teeth issues! I would love to try this kind of vitamin C! Thank you for the recommendation and chance to win. I am a nursing mom and so I am even more particular about getting bioavailable real Vit. C. I would love to try this Vit C for me and for my baby via my breast milk. Thank you Sandrine for always keeping us up to date on quality food & quality supplements.